Buying a domain name is an easy process, you just need to choose a domain name, then pay for it and it is yours. The process after that – like setting up your website domain name with your website can be more involved. 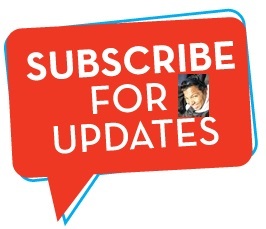 While registering the website name you will need to provide an email in the sign-up process, so that you can receive the domain setup details in an email. They are many top-level domains (TLD) like .com .gov .org .edu available today apart from the ever emerging new domain extensions being released like .club .news and many more. Pricing for all domain name extensions is different depending on what name you choose. Australian domain name extensions like.com.au require a minimum two-year registration and an Australian Business Number (ABN) for you to register a name for yourself. The popular dot.com domain does not have this requirement and can be registered for just 1 year. A domain name is the name of a website eg. my site www.digitalgrog.com.au is my domain name and also my online website address. If you’re thinking about creating your own site or blog, buying a domain name or doing a “domain name search” is the first thing that you will do. To make the process of starting a blog /website easier many website providers now provide both the domain name + webhosting together so that you can set up a website easily and quickly. Some of these providers also throw in a Free domain name if you purchase the webhosting from them, that is needed to set-up a website. Bluehost.com is one such provider that offers free domain name with webhosting account. Domain Name providers where you can buy or register a domain name. When buying a domain name or starting a business- you want to be sure that the company you buying from is reputable and just won’t shut down tomorrow. If they have other website related services like webhosting, site security, name transfer available, then it surely is a bonus and adds to their good standing. I have a list of three names below because they fit most of my criteria eg. been in this business for years, reasonably priced domain names, regular promo deals and a good reputation. 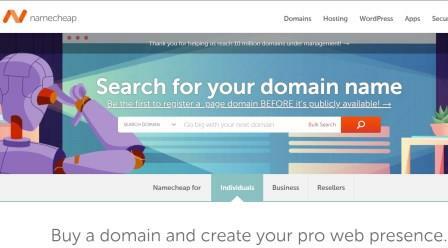 If you want a domain name for cheap, then godaddy.com is your best bet. They are a wholesaler in the domain name business and this is what they do best. As a website builder, I also appreciate that their domain management interface is really easy to use for multiple domain names. You can’t go wrong if you want to start a blog and want both hosting and a Domain name both in a convenient package. Bluehost provides this and I got my blog set up in an hour. Most of time, my technical issues are resolved with level 1 or level 2 support and usually, they are resolved in a timely manner. First, you need to decide if you just need a domain or would you be requiring other services as well like web hosting for your website or blog. Possible Add-ons with a domain name can include webhosting, Website builder, SEO optimiser, Payment acceptance tools for your website etc. Web-hosting is necessary with a domain name purchase to create a website/blog. If you already got a hosting account then you can just buy a domain and point it to your hosting account where your files or content will be hosted. If you need both a website name+ hosting, then you can just get a package deal. Bluehost and Godaddy have some good deals for names plus hosting which are also given below. Both of them offer Hosting + free domain name deals but GoDaddy is also one of the larger domain name registration services that also registers Aussie .com.au domain names. To register a domain name is as simple as checking if a domain name is available and then clicking buy and making a payment for your domain name. If you’re hoping to attract many visitors to your blog or website, the name should be short and related to the content/topic of the website. If the name stands out it will help in the branding of the website as well. Before doing a search for a domain name there are a few useful pointers – you my friend should keep in mind. Go here and do a search for your name and just buy yourself a good website name if you find one. Make Sure you have your ABN number ready before registration- If you don’t have an Australian business number(ABN), you can get one here. If you are looking to compare Australian website hosting or domain purchasing with US website hosting and prices, then you need to know the price difference. If you need a local Aussie provider, you can read a detailed review here. Before you register your www name online, make a list of several options or names for your website name. Be creative and open to different keyword options for a name. Your first choice may not always be available as there are already billions of websites operating on the internet with millions of names already taken. Once you’ve got a good list of names do a search for your names that you have shortlisted. Just go here do a search for your name and if available, make a payment immediately and buy it – so that you dont lose it to someone else. 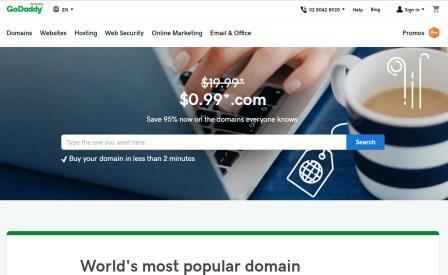 The price is usually around $10 for a domain name but sometimes you can get it for as cheap as $1.99 or $2.95 when promo deals are on, but it can vary based on the company offering it and the add-on package you purchase with it. When you find a URL that works, register and pay for your domain name, and you’re open for business. If you need any help with setting up your domain etc go daddy has a 24/7 tech support line, which is very helpful and you can actually speak to a person in the US for help compared to some other hosting companies that provide support from overseas countries. Now that you have sorted your domain name buying, An got an idea of hosting companies, you can read a detailed comparison of local and US hosting companies with prices for hosting in my next post. If you are ready to get started today with your online business or just a personal blog, then you might want to check my post https://www.digitalgrog.com.au/australia/starting-a-tech-blog-in-six-easy-steps/ which will give you a step by step break down of how to start your wordpress blog easily today. They have some good recommendations on the list, where you can get a Free domain name with your paid hosting for a good reasonable price. 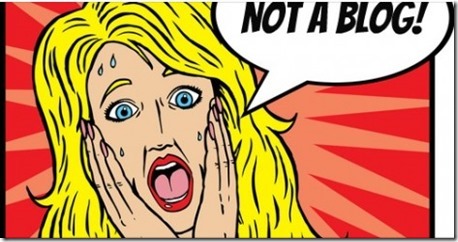 Is your Domain Name already taken? Domain names are hard to get and most likely the domain name you want is possibly already taken. If you are willing to pay a premium sometimes you can still buy the domain by making an offer. Disclosure: Digitalgrog.com.au is a affiliate partner to most of the Hosting services and some other blog related promotion services that I have listed here on my blog and I use, which means that in addition to using their service, we also receive a commission for referring new customers. To be fair, though, we still use these services even if we weren’t an affiliate. We don’t recommend any particular host just because we’re an affiliate (every hosting company offers a similar affiliate program); we recommend certain Hosting companies because they are the best, most reliable option. Plus, because we’re a partner, these providers offers a special price for Digitalgrog readers. Take action – Get started today. What a great write up. Some important steps to be taking when registering for a domain name. So i had to figure out redirecting domain etc myself from godaddy to bluehost .. wish i had read your bluehost set up guide earlier than could have got both Free domain + hosting from and easy setup. Glad i could be of help !! A great blog and insightful information on domain names. Definitely will check back again. Before reading your blog, I was thinking to buy domain name for my new site. More ever, I will definitely follow these entire steps for domain name registration. If you have a web site, you should seriously consider registering your own domain name. A domain name is a name like “thesitewizard.com” or “thefreecountry.com”, which you can use to refer to your website. Note that you do not have to be a company or organisation (“organization” in US English) to register a domain name. Any individual can do it too. If you ever change your web host, your domain name goes with you. Your regular visitors or customers who knew your site name as (for example) would not have to be informed about a change of web address (also known as “URL”). They would simply type your domain name and they’d be brought to your new site. If you are a business, a domain name gives you credibility. Few people will be willing to do business with a company that does not have its own domain name. If you get a domain name that describes your company’s business or name, people can remember the name easily and can return to your site without having to consult their documents. 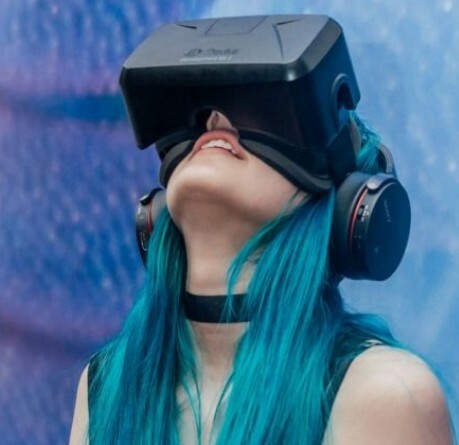 In fact, if you get a good name that describes your product or service, you might even get people who were trying their luck by typing “www.yourproductname.com” in their browser. The process for signing up for a domain name works the same way whether it’s through a hosting provider or a separate domain name service. You’ll be asked to enter the domain name you want to register into a text box. The service shows you the extensions you can choose. Generally, you always want to go with .com because this is the most popular domain name extension and easiest for users to remember. Also, Google likes .com, .org and .net domains a lot, even though it states it doesn’t matter. This is likely because .info and .biz can often be seen as spam sites or thin affiliates sites. I guess finding useful, reliable inomafrtion on the internet isn’t hopeless after all. that the internet site is about being a bakery in Cerritos. Tip One: Choose a Target Phrase – There should be one target phrase used within your web pages. I love to see that NameCheap is on your list of one of the best registrar. NameCheap may not have the lowest price, but all I can say about this site is their server hosting offerings are the best. They have the easiest and the most simple interface to access. Other than that, they have the best support team, whenever I have problems with NameCheap, I will contact them and they will reply my email as fast as lightning! This website is just awesome. I agreed with you. GoDaddy is one of the best registrar website with good reputation. I bought my domain name on that site and I recommended that site to my friends too. I love the new improvement made by GoDaddy. I love the v7 website editor by GoDaddy. So easy to use, simple and everything could be done just by drag and drop stuffs there. I think the website builder can help the beginners to build their own website. I bought a domain from GoDaddy and I am so satisfied with the plan and price. The price always on sale, and cheap too! I saved a lot by purchasing a domain there. There are wide choices of features available in GoDaddy. Although some features might cost a bit more money, but it is worth the penny. 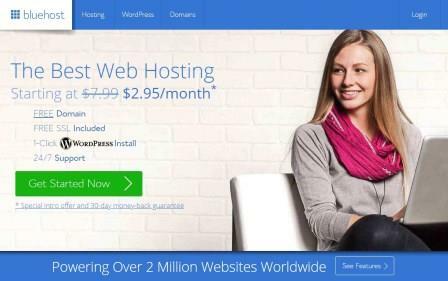 I never tried bluehost and namecheap before, I think I will recommend them to my friends as they are going to build a website for their bussiness. And of course, I will definitely tell them to read this article, it helps a lot! Thanks for the post JJay. I just set up my blog at dashba.com and went through all of this. Great informative read.